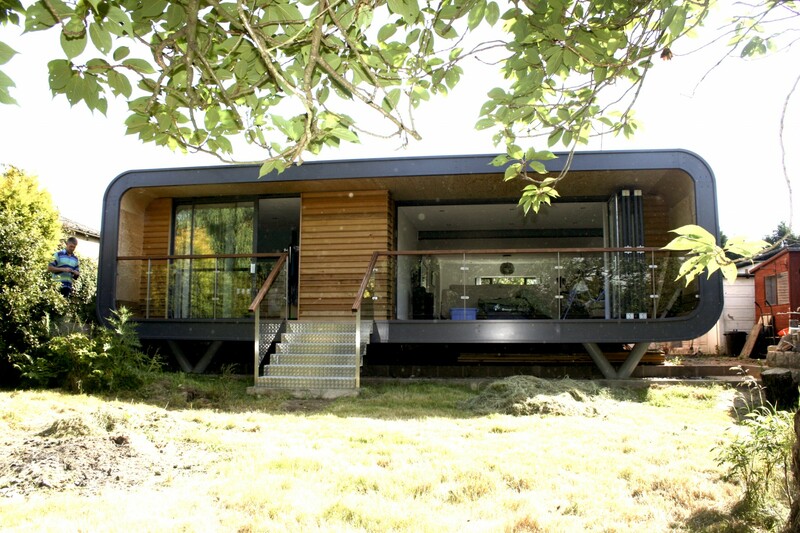 A contemporary extension to a 1960s bungalow. 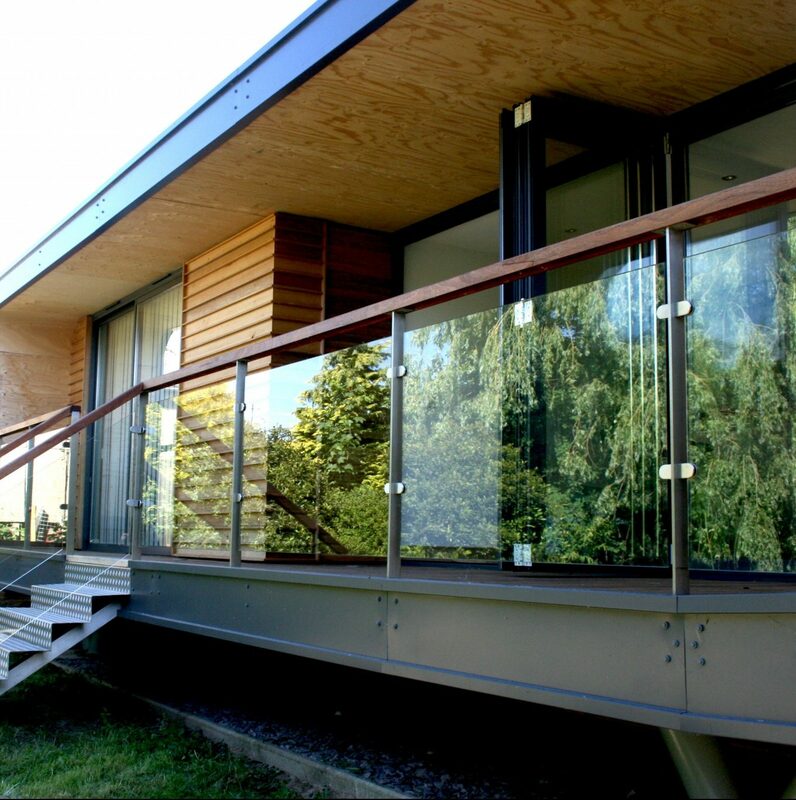 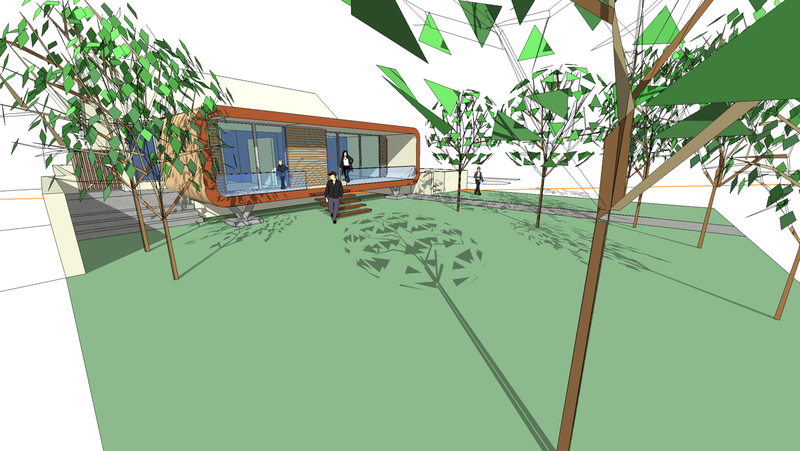 A curved timber ‘pod’ was bespoke-designed and then pre-fabricated and craned onto site, providing additional living space opening directly onto the garden. 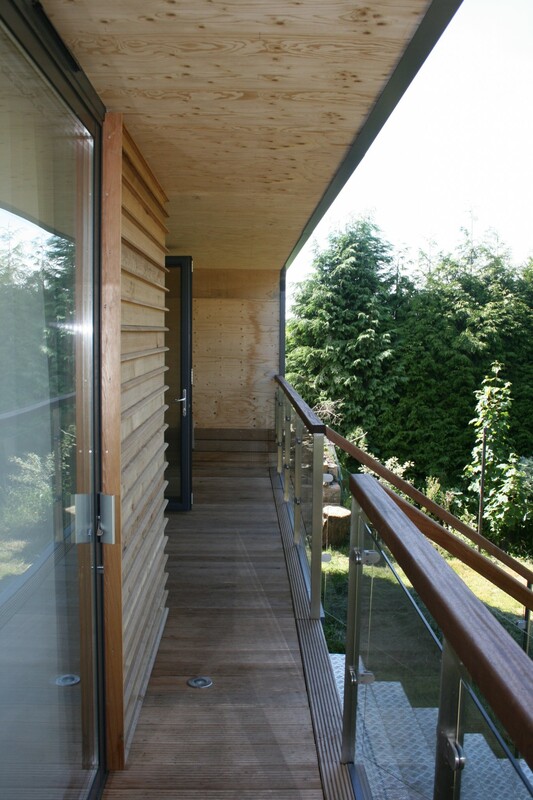 The fully glazed front allows close interaction with the outside space all year round.